NFC is quickly becoming a standard feature on a number of devices spanning virtually every major carrier and device manufacturer— with one notable exception. As BSN reports, Apple’s decision to leave NFC on the cutting room floor with the latest iteration of the iPhone sent shockwaves throughout the tech community, and as many had predicted, this decision has proven costly for NFC adoption. Also holding NFC back is that the general public remains largely uninformed on the benefits and functionalities of the technology. To combat this, the NFC Forum was forged to aid in the advancement of the technology and provide valuable information to the public. The Forum — established by Nokia, Sony and Phillips — has grown since its inception and now includes some of the largest names in mobile technology, again with Apple and Nvidia notably absent. Apple’s snub and uninformed public aside, the business model for NFC has been seemingly flawed from the start. Initially planned to be bundled with a phone and used as an alternative means of payment NFC has been dominated by carriers who have taken NFC payments hostage. This has stifled a great deal of progress with both NFC payments on Android devices and adoption of the technology on an industry wide level. The result is a public opinion that remains largely skeptical of NFC, viewing the tech as a gimmick or flash in the pan. However, as interaction with NFC increases so to does the number of functionalities and use cases — many of which are intriguingly promising. Samsung leads the NFC charge with marketing efforts that showcase its Galaxy S III phone sharing videos and data by touching the device to another. Additionally, most of Samsung’s street ads use NFC, enabling pedestrians to further interact with the tech. With all that Samsung has done to advance the adoption of the technology, its NFC solution only works well with other Samsung devices— a model that, long term, will not help NFC realize its true potential. However, the market for NFC-enabled offerings is growing steadily, with devices like the Nexus 7, ASUS VivoTab RT, Acer Iconia W510, Nokia Lumia 810, LG Optimus G and HTC One X all jumping on the NFC bandwagon. There are currently three distinct operating systems between these devices — a fragmentation that has proven to be somewhat problematic in terms of NFC functionality. Many of the key features of NFC are compromised when going cross-platform with many of these devices, namely picture sharing. Sharing links remains exceptionally simple and relatively flawless, but NFC is capable of much more. The increasing number of NFC-enabled devices, along with new and inventive uses of the technology yields one glaring conclusion: everyone has jumped aboard the NFC bandwagon, except Apple. The inclusion of NFC on an iPhone device, therefore, will likely depend on the creation of a suitable cross-platform standard. At present, Apple has little need to care about cross-platform standards, but in the event that Android, Windows Phone and Windows device manufacturers reach an accord, Apple may change its tune. 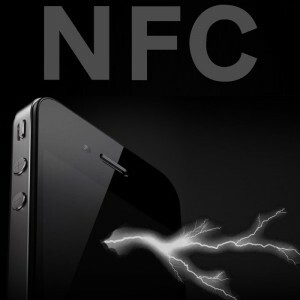 Time, however, will be the ultimate tell as to whether the next iPhone will see NFC functionality. At the rate that the mobile industry moves, by the time the next iteration of Apple’s device is ready for launch, NFC may very well have already reached critical mass— much the way 4G technology has with Android devices. If people can recognize the value that exists with NFC as they did with 4G technologies, then a market-wide demand for NFC is not unlikely— a shift that will surely force Apple’s hand. Carriers and manufacturers will also be key to this shift, and will need to seriously and responsibly market NFC features. Some maintain that Apple is using its Passbook app in an attempt to create an NFC ecosystem before they officially allow the public access to NFC. If nothing else this is a logical explanation for Apple’s decision to snub NFC with the iPhone 5. Speculation aside, one thing remains certain; NFC continues to grow in both adoption and functionality. Apple’s snub of NFC may have stifled its widespread adoption temporarily, but as the other major carriers align themselves to take the NFC to a new level, Apple won’t be able to sit on the sidelines for much longer. See the full BSN article here.